Posted in In the Media | Comments Off on Welcome to Ottawa South/Manotick! Solutions At Hand’s press release supporting the ICE campaign was featured on the Palm Addicts WebLog. The story can be found here. 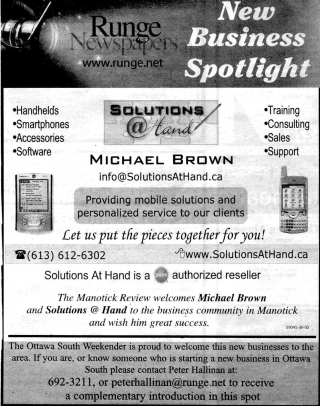 Solutions At Hand was featured on CJOH (CTV)Television’s news feature “TechNow”. Click here to see read the abridged version of the TechNow feature on CJOH.com. 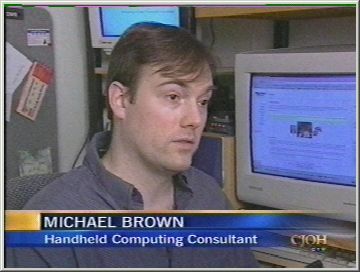 Michael is seen here being interviewed by Colin Trethewey, CJOH Technology Reporter.